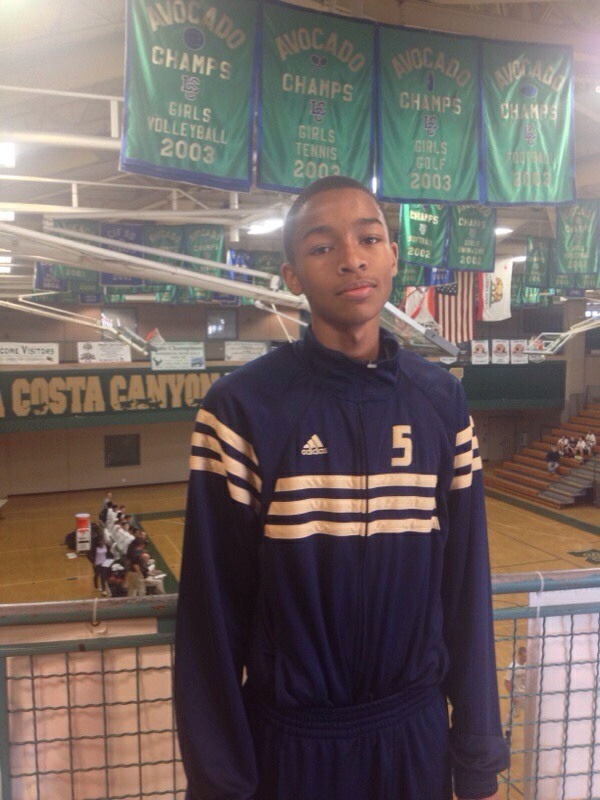 Hot 2017 Prospect Jaylen Hands of Mater Dei HS of San Diego, Calif. Jaylen has been showing out recently grabbing major attention from college recruiters and media outlets. Mid Major Hoops Report has brought him to our “Players Corner” where we at MMHR are proud to highlight him as one of the fastest rising prospects in the 2017 Class…. MMHR:What is your Height, Weight, and Position you play? MMHR:How is your season coming along, so far? Is it living upto expectations? Jaylen Hands:It’s going well. We are currently 11-2 against some great teams. We have participated in 3 strong tournaments so far, winning 2 of them and I made all tournament in two of them as well. MMHR:Upto this point in your season, who has been your team’s toughest matchup? Jaylen Hands: J Serra. Really big and physical across the board but that’s hard to say because we have played so many good teams to date. MMHR:Which college programs have been to your games and/or practices so far this season? MMHR:Which colleges are recruiting you the hardest right now? Any scholarship offers at this point? Jaylen Hands:Cal, Ucla, Washington, Harvard, Stanford, USC, SDSU and Irvine. USC has just offered. MMHR:What are you looking for in a College Program? Jaylen Hands:A program that is strong academically along with an opportunity for me to contribute from day one. MMHR:Do you have any college visits planned? Jaylen Hands:I have already visited SDSU. I’m taking a trip to UCLA and USC shortly. I would also like to visit Cal, Stanford, Washington & UC Irvine at some point. MMHR:Any big time camps or showcases you plan on attending after season? Jaylen Hands:I want to do the CP3 camp again & possibly a few more. MMHR:What are your strong points in your game right now? And what weaknesses, do you have that you are working on to become a strength? Jaylen Hands: I want to be a better on ball defender and rebounder. I’m also want to be a better facilitator; I’m known for my offense but I want to use that part of my game as needed not as a go to. MMHR:What AAU team will you be playing with this summer? MMHR:How many days a week are you working on your game outside of normal team practices? Jaylen Hands:Everyday even after practices. MMHR:Do you have a twitter and if so, what is it? MMHR:Last question, Who has had the biggest impact on your life when it comes to basketball, life, and school? Jaylen Hands:My parents. My parents have always made me take the roughest roads to reach my goals. They knew if i struggled and succeeded, I would be prepared for the outcome no matter what. In my house basketball follows school and i know that; I currently have a 3.6 gpa but I know I can do better. I’m only 14 so I have a long way to go and much to learn but I will always seek my parents approval on everything. MMHR would like to Say Thank you to the Hands family for allowing us to interview their son Jaylen. We are looking forward to keeping up with your HS season and recruiting. Good luck!